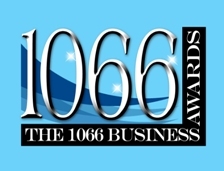 We are very pleased to announce that FundInvoice LLP have been nominated as "Finalists" in the 1066 Business Awards, for the category "Best Small Business 2016". We are very proud to be recognised, especially as these are local awards. It goes to show that you don't need to have huge numbers of staff and large amounts of investment to be recognised as a successful business. The winners will be announced, later this month, at an awards dinner. We look forward to the results, and we have our fingers crossed!